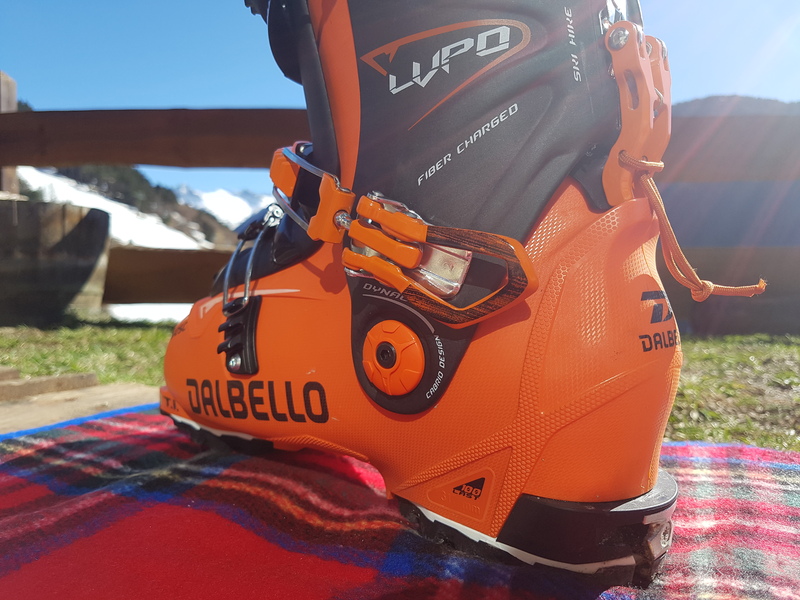 Dalbello Lupo AX 125C 2017-2018 Review: First Impressions. 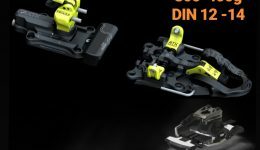 FIRST IMPRESSIONS: On the belay is participating with Dalbello and ISPO open Innovation on a testing campaign for the new lupo range 2017-2018. We will be testing the LUPO AX 125C. This article is written after the first four sessions of test. I still have not received from Dalbello neither the tech specs, neither specific informations from their design team, so all the positive and negative aspects highlighted will be honest, non influenced and updated periodically during the next month and a half of test. I will as well add further along the road the tech specs and the feedback that I get from Dalbello’s design team about it’s construction and performance. 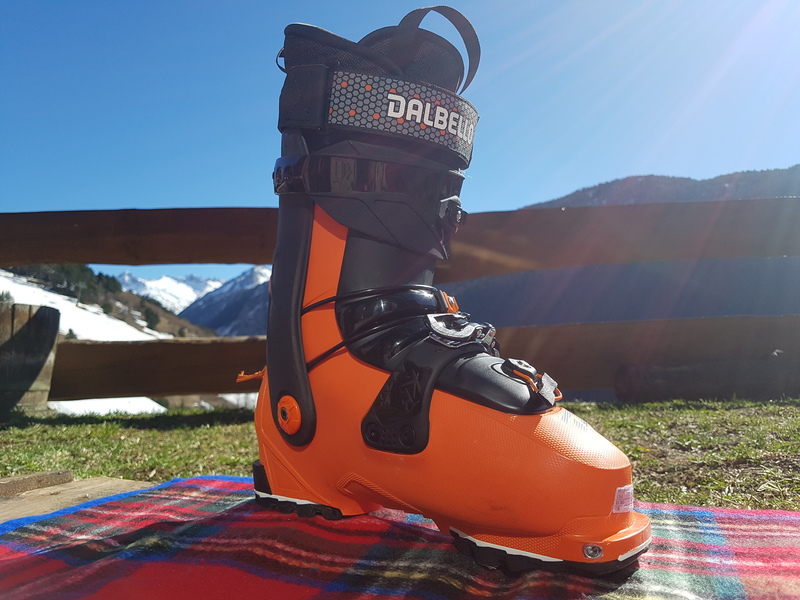 The Dalbello Lupo AX 125C natural habitat is on the backcountry seeking powerful descents on powder with drops and air time. However, spring has come to stay on the Pyrenees abd that gives us a chance to put it to the limit. 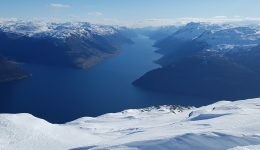 – Two of them focusing on the downhill seeking steep-ish slopes on transformed spring snow over a layer of hardened uneven snow. Yeap, pretty much the worst conditions you can find, however the best ground for knowing for real how rigid and conductive these boots can be. It’s like the ring of fire, if they pass this test I know I can take them anywhere. 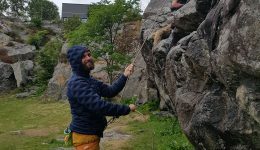 –The two other sessions have been skinning uphill. One of them was a 500m progression on straightforward terrain with few quick turns. The other one has been on a 300m steeper slope that required Z progression on continuous quick turns. I got surprised of how much volume the boot has on the feet area. Mi standard performance size for most manufacturers is 27,5 and I still generally need to thermoshape or do some kind of tuning before been fully comfortable; hence I asked the Dalbello Lupo AX 125C on a 27,5. 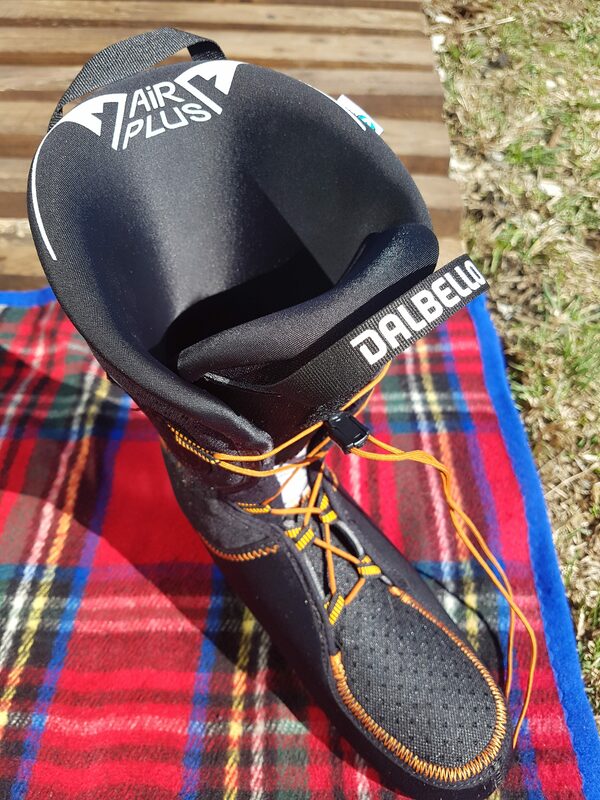 The inner boot provides a performance adjusting thanks to the cordelette. They are preformed and considerably thick on the cuff making them comfortable and offering certain cushion. The cuff felt tight and accurate but I had too much volume on the feet. I have quite a wide feet, so probably my perfect size should be a 27. I solved this problem by putting a foot bed to reduce the volume. The lupo AX 125C has a comfortable sizing, but watch out when you try it; you need to feel properly locked both on the cuff and on the feet. 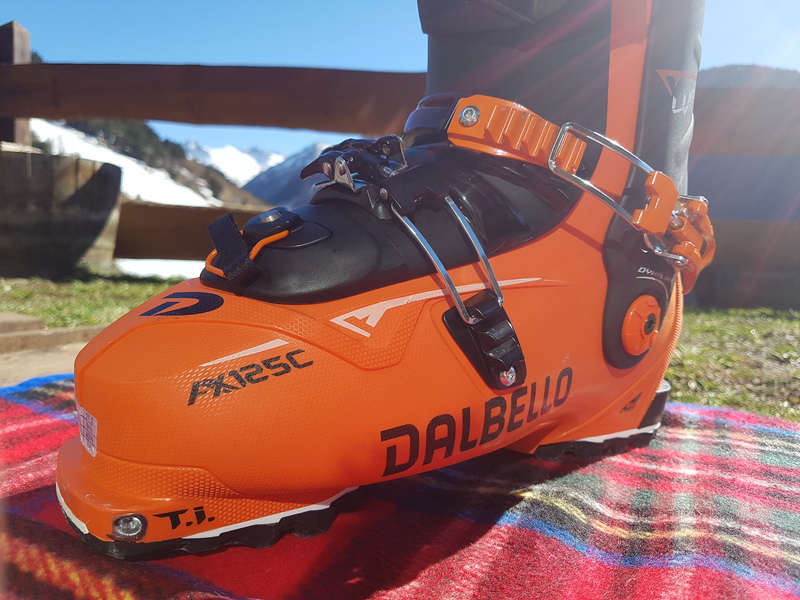 You are considering this boot for sturdy descents and reliability on key moments; if in those situations your feet moves, that is going to be transmitted straight to the ski cancelling out the purpose of the boot. I would like to try half a size less to see how the much volume gets reduced, but so far I would cut out volume on the feet area. Some in width, but quite some more in height. As it’s name points out, it has a flex of 125, however it’s a solid 125. Sometimes touring boots are marketed with high flex rates, but then perhaps they do not feel so stiff. The Lupo AX 125C has every single of those 125 flex points. 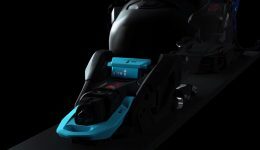 With three boucles and a power strap it achieves more stiffness than several four boucles freeride models. 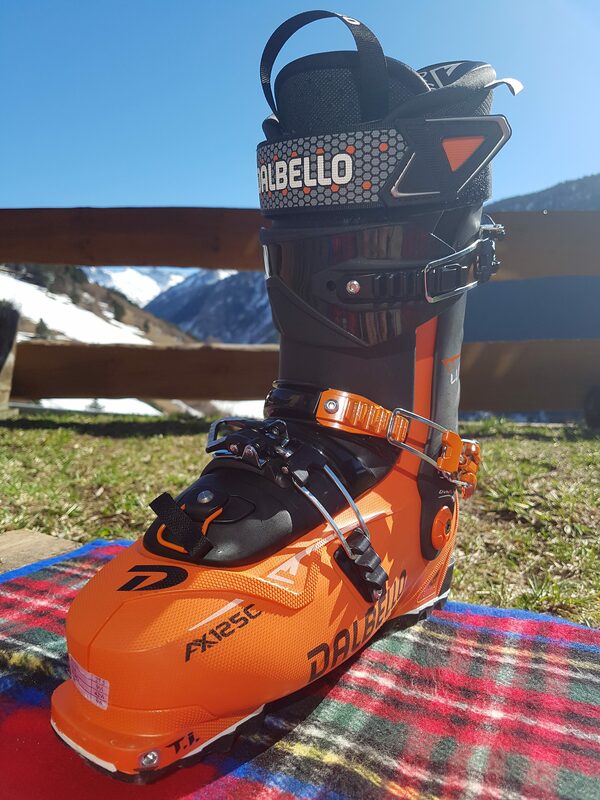 This is no doubt an advantage if we want to use this boot as well on piste and on freeride days with lift approaches. There are three details that I consider very smart and responsible for most of the overall stiffness. On the one side, the removable tongue and the side cuff carbon components. This kind of construction can be found in several models by different manufactures, however Dalbello is not afraid of putting meat here and they truly achieving a very solid structure. The third element would be the middle boucle. It achieves to bring together the tongue and side carbon reinforcements. When boucled down, the boot feels anchored from the mid foot to almost the top of the cuff. The strength is applied harmoniously and there are no pressure points. This boucle must do an adjusting job three times bigger than the other two, I guess that’s why they highlight it in another colour. As I mentioned before, on my two sessions focused on the downhill I choose steep-ish slopes on transformed spring snow over a layer of hardened uneven snow. Demanding conditions that require strength, stiffness and direct drive. Moreover, I took my fats, 188 and 108 underfoot skis, for making the business slightly more complicated. During both days I took a few drops and air time. Both days I felt solid, accurate and precise. On ski mode they weight 1650g. For that weight and having three boucles it’s surprising it’s downhill power. 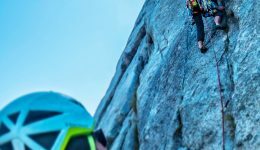 ONTHEBELAY Lifaloft: The new lightweight thermal insulation proposal by Helly Hansen. The Lupo AX 125C is no doubt a downhill bomb that has passed without any complications this first downhill test. 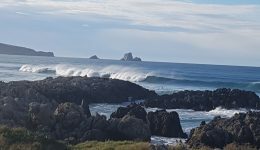 For this first review I have donne two uphill sessions. One of them a 500m progression on straightforward terrain with few quick turns. The other has been on a 300m steeper slope that required Z progression on continuous quick turns. For adjusting the boot to hike mode we need to remove the tongue and unlock the back lever. The tongue is easy to remove, even with one hand. For having a removable tongue construction, I like that the boucles and the tongue layer out comfortably, something not so obvious in several models in the market. One of the advantages is that with the tongue out we pass from 1650 to 1460g, so we are able to carry almost 200g less per feet. It is surprising how such a steep boot can turn so flexy and nice to walk in on hike mode. On the other hand, it has the same disadvantages that every model with removable tongue. 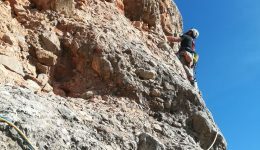 It takes longer to do the transitions, it can be uncomfortable to carry the tongues on your backpack, but most importantly, it is more dangerous when doing the transitions on sketchy terrain. 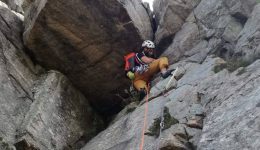 If we do not have a comfortable platform and we need to do the transition on a steep face or on a couloir, like it’s often the case in ski mountaineering, then it’s not so obvious to fix the tongue and we have to be careful. This last point is generic, I have not yet tested the lupo AX 125C on a delicate spot when doing a transition; when that will happen, I will update the test. The day that I went for the steep slope on kick turns, I was looking to test the ability of the boot to transfer the strength to the upper edge and bite to the hill. I had to break track, and because of the slushy snow, it was easy to slide downhill. Such challenging conditions are a good test to see if they get the job done. On such conditions I decided to lock the two lower boucles to reduce the volume on my feet and get better grip. I was constantly solid on the boot that was uphill getting a comfortable platform that I could rely on. However the lower ski was constantly sliding down but It is normal on such conditions. 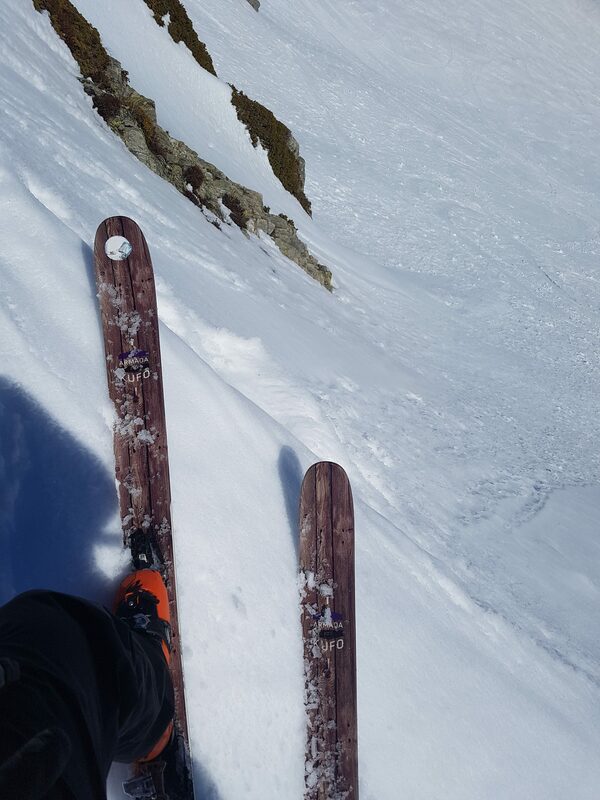 Taking in consideration that I still felt solid on the upper boot and that I did not get dragged down means that no doubt the boot passed this first test of technical skinning. Another aspect to point out on hike mode is that the boot is warm. The inner boot is thick, and at some point I got trapped on a hot spot straight under the sun, without any wind and probably at over 20º. The feeling of heat was overwhelming and I could seriously feel it on my feet. However I must point that the boot must be well constructed because I didn’t ended up so sweaty on my feet as I could expect. I guess it must be due to the breathable upper membrane. ONTHEBELAY Testing the smartest active down jacket of the season. Helly Hansen Odin Veor. Today I was very happy of that breathability, but I would like to check during the following month if it will still do the job on a long day on the backcountry. At the same time I will check how waterproof is the membrane and if there is a chance that we can finish a long day with wet feet. 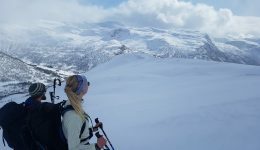 For this weekend there are acoming two long days on the backcountry with touches of ski mountaineering. it is going to be the perfect opportunity for taking the test to the next level. 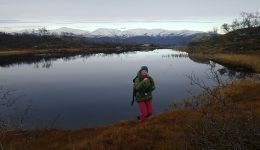 We will check the feelings after two days in a row with over eight hours of activity that will include prolonged technical skinning, cramponing and bootpacking. We will as well check the downhill performance on couloirs, slopes with different snow conditions, drop landings and luckily we will get a bit of powder on high shadowy ground. 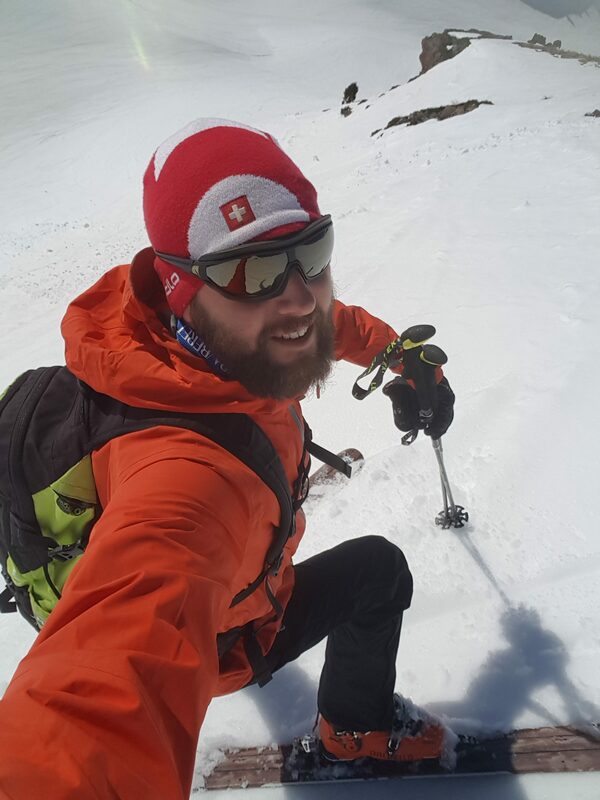 This entry was posted in Gear Guides and tagged MountainSki. Bookmark the permalink. ← Restanca. A lot more than Montarto. Thanks Darwin, I’m glad that you liked it!